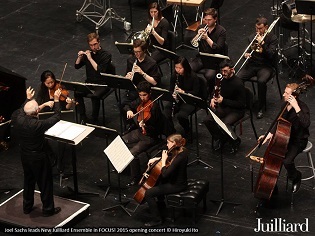 Joel Sachs, music director of the New Juilliard Ensemble, introduces Sierra’s new work on the eve of its January 20 world premiere at Lincoln Center. The premiere is a highlight the 2017 FOCUS! 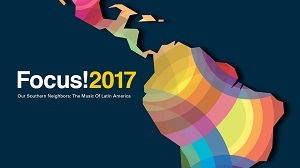 Festival, and is part of this year’s celebration of the vast diversity of Latin American composers and their music. Sierra’s 14-minute work is scored for Yamaha Disklavier, flute, oboe, clarinet, bassoon, horn, trumpet, trombone, tuba, percussion and strings. Upcoming: next month, the Tucson Symphony performs Sierra’s ever popular work Fandangos, conducted by James Judd.